I was looking through Charly's suggestions : up, unzip, unlock, unique, unfit (definitely me) but none of the words filled me with any inspiration. In the end it was looking back through the photos on my phone that gave me an idea of a fitting word…. U is for ….. underneath. 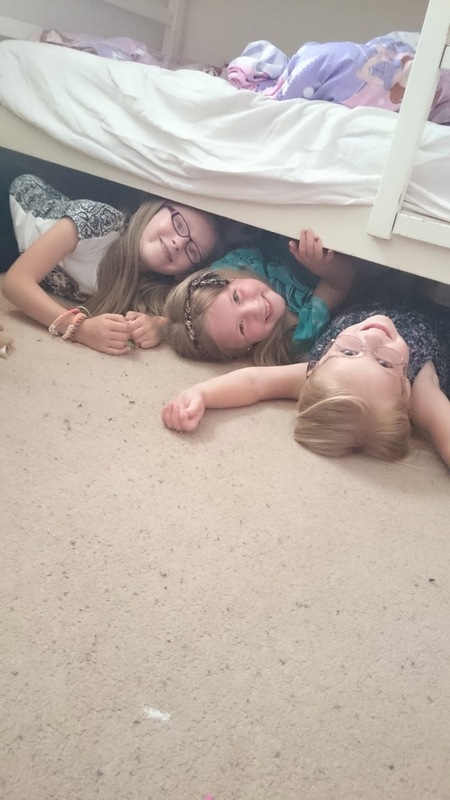 This was actually one of the last photos that was taken before we moved out of our previous house and I think it captures my girls perfectly.